The great meaning of our life is found in the cross. While the cross is a powerful symbol for Christians for representing the sacrifice that Christ made for humanity, it is also a lesson for us in taking responsibility in our own lives. In Mt 16:24 Jesus says “Whoever wishes to come after me must deny himself, take up his cross, and follow me.” To take up our cross is to shoulder the tasks we are responsible for. Being responsible means to deny our immediate desires and wants. Being responsible means to make sacrifices. Being responsible means to confront the troubles of this world. The meaning of our life is not found in wealth, or pleasure, or fame. The meaning of our life is found in taking responsibility, in carrying the cross as Christ did. 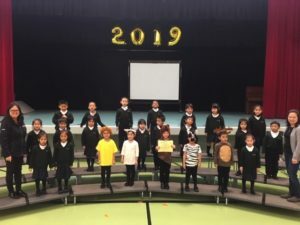 The Spring Raffle starts April 1, 2019. Tickets will be available for pick up on April 1st in the downstairs school cafeteria during lunch time and after school. Tickets will need to be signed in and out by parents. 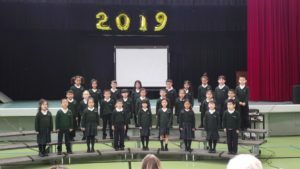 Each family will receive a 2 booklets of tickets to sell according to the number of children registered in the school. The raffle will run from April 1st to June 14. The draw will be made on June 14th. The cost per ticket is $2.00 and the booklet costs $20.00. All tickets and money are due on June 7. There will be no choir practice on Monday, April 1, the day we return from spring break. Practices will resume on WEDNESDAY, APRIL 3 at LUNCH TIME. There will be no more Monday after school practices for intermediate choir for the rest of the school year. There will be no newsletters over spring break. 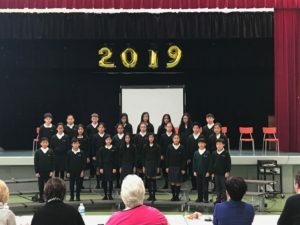 The Archbishop Carney Regional Speech Arts Festival was this past Tuesday and Wednesday. I am so very proud of all of our students. We excelled in all areas of the Speech Arts. All three class performances (Gr. 6, Gr. 1, and Gr. 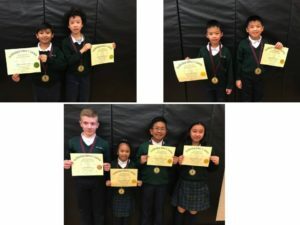 K) were excellent and each received Gold. Our individual students did amazing as well with many receiving a Gold. Other principals came up to me complimenting our students and I could not be more proud of the students, the teachers, and the parents who worked hard in practicing for the speech arts. On Thursday, March 14, our Gr. 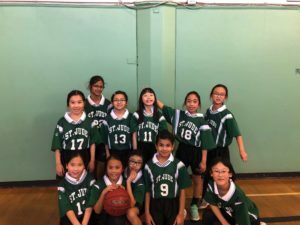 4 Girls played against Corpus Christi in a hard fought basketball game. The game was a friendly exhibition designed to promote the game of basketball. The girls had a lot of fun and we hope they will pursue basketball camps in the community.